Our goal is to become an extension of your team; its capabilities and its successes. 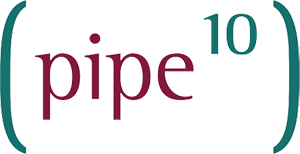 That begins and continues, with the expertise inherent within the Pipe Ten team. Pipe Ten team members ALL come from Information Technology backgrounds, operate to ISO 27001 throughout and PCI DSS standards where appropriate. While the service delivery is frequently virtual, whenever reasonably possible we like to physically meet our customers and build a lasting relationship. We’d love to come visit you, or Pipe Ten itself is located in the world famous “Steel City” of Sheffield a green modern city-scape set against the stunning backdrop of the Peak District National Park where you are always welcome!